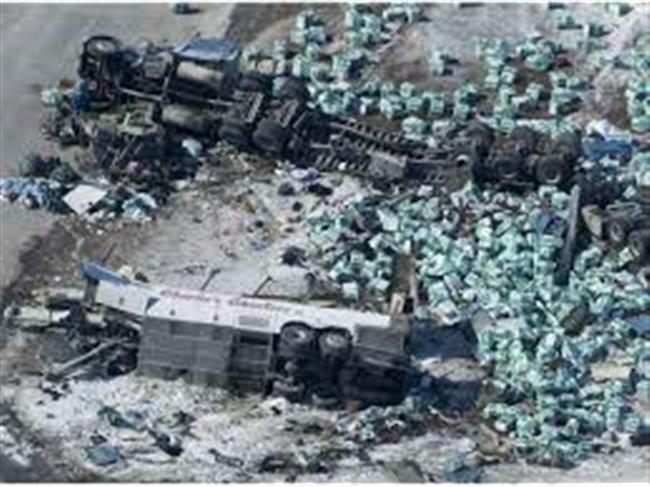 Alberta - A representative of the trucking industry is warning about what he calls “chameleon carriers,” after a new corporation was registered to the address of the man who owns the Alberta company involved in the Humboldt Broncos bus tragedy. A new numbered company is now registered to the address of Sukhmander Singh, the owner of Adesh Deol Trucking Ltd. Singh claims that he is not involved with the new company. Alberta Transportation confirms that at least one truck driver is now working for the company. It is not the driver who was at the wheel of the truck that collided with the Broncos bus. Last month, ads seeking Calgary truck drivers were posted on the website Kijiji.ca. An archived version lists Singh’s phone number listed as the contact, suggesting he may have been recruiting drivers. Chris Nash, president of the Alberta Motor Transport Association, said that the new company could be a “chameleon carrier,” which he explains is a company owned by an operator whose old company may have run into possible trouble with regulators. Nash said that “a good majority” of trucking companies have good safety records, but others “don't subscribe to the safety way, which results in some serious incidents on our roads.” He said “chameleon carriers” can make the roads less safe. Alberta Transportation Minister Brian Mason said that the province will be auditing the new numbered company for the next three months to check that it is operating safely. The release adds that investigators are “preparing for Crown consultation at the conclusion of the investigation which occurs in many serious, sensitive, and complex investigations.” No charges have been laid.